"What is the best way to keep a vacant home secure when selling? If we get a security system, won't we have to sign up for 12 months? Any other cost effective ideas?" This question was recently posed in a forum I belong to which is home to over 5,000 Arizona real estate agents. Helpful dialogue ensued, and various tips were shared for those faced with selling their home while it's vacant. While a security system seems like a no-brainier, many sellers are not interested in having to enter into an expensive 12 month contract. Desert Security alleviates this concern and will set you up with a cellular security system and it's month-to-month. Call Ron (one of the owners) at (480) 664-1800 for more information. The agent who recommended Desert Security has used them on over a dozen flips. 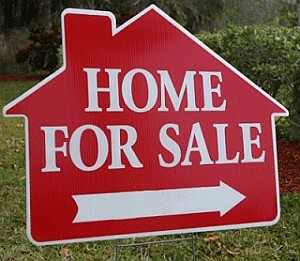 A for sale sign in your front yard is great for marketing your home - it is also an advertisement for thieves. If your home is vacant, you may want to consider skipping the sign. Have your neighbors keep an eye on your home for any suspicious activity. Place home security decals, yard stakes or dummy security surveillance cameras at the property. A wide variety of options are available from Amazon and other online retailers. Keep your homeowners insurance current throughout the entire term of the listing. If the residence is going to be vacant for more than 30 days, your going to want to purchase a "vacancy endorsement." Contact your homeowners insurance provider for more information. What are the boundaries of the Arcadia neighborhood in Phoenix, AZ? Question: What are the boundaries of the Arcadia neighborhood in Phoenix, Arizona? Answer: 44th to 68th street and Camelback Mountain south to the canal (Indian School Rd). 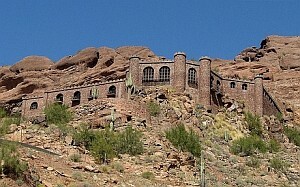 View all homes for sale in Arcadia from the Arizona MLS - CLICK HERE! Pro Tip: Within the true Arcadia boundaries a Scottsdale vs Phoenix address does not matter so much. It is block-by-block where values can vary greatly. A home on Exeter is worth more than one on Calle Del Media - and these are only blocks away. True Arcadia is so unique that you really need to do your homework when determining value and desirability. How long is my Arizona home inspection period? This is a common question I hear from buyers, and a topic we always discuss when sitting down to write up a purchase offer on a home. The simple answer? 10 days. For real world application... Too simple. 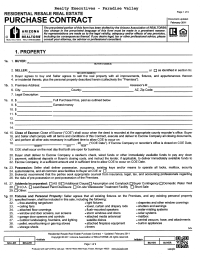 "Inspection Period: Buyer's Inspection Period shall be (10) days or _________ days after Contract acceptance." "Days: All references to days in this Contract shall be construed as calendar days and a day shall begin at 12:00 a.m. and end at 11:59 p.m."
Here's an example to help tie things together. You and your broker submit a purchase offer to a seller, and the seller accepts your offer on March 1st. March 2nd, would be day 1 of the 10 day inspection period. The inspection period would end at 11:59 p.m. on March 11th. So why is this important? In a nutshell, the inspection period affords a buyer time to conduct all desired physical, environmental, and other types of inspections and investigations to determine the value and condition of a home. If you choose to cancel under the terms and conditions of the purchase contract, you need to pay attention to this time frame as your earnest money could be at stake. * Disclaimer: Reference your specific purchase contract and speak to your real estate broker or real estate attorney for details. This is based off boiler plate language found in the AAR Residential Resale Real Estate Purchase Contract. Your contract may differ.